From the junction of the B1108 and Colney Lane, turn down Colney Lane towards the hospital. Instead of continuing down Colney Lane, take the first left at the traffic lights. The Cotman Centre will be found on your left. There are limited parking spaces at the Centre. Located just off the A47 on the Dereham Road (A1024). There is pay-on-foot car parking at the community hospital. 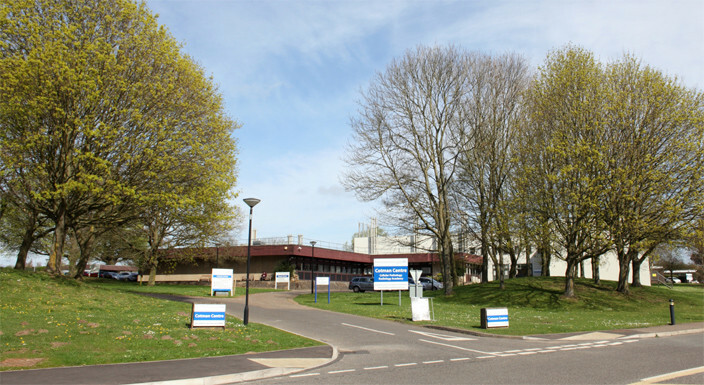 The 21 bus service runs via the community hospital. From the south take the inner ring road Queens Road (A147) and turn left into Finklegate and then left again into Ber Street. Then take the third right down Thorn Lane where you arrive at Rouen Road and the offices are directly opposite. From the north head for the inner ring road Riverside Road (A147). Turn right on Prince of Wales Road over the river. Take a left down Rose Lane and follow the road bearing left onto Cattle Market Street. Take the next left down Rouen Road where the offices are on the left hand side opposite Thorn Lane. There is a pay and display car park opposite for visitors to the Rouen Road Offices. Norwich’s main bus services are located on Castle Meadow and St Stephen’s Street (10 minutes walk away).